Now available for Windows Phone is KinoConsole! What exactly is KinoConsole you ask? Well it’s just an app that allows you to play your favorite PC games anywhere, anytime is all! Latest games like Elder Scrolls: Skyrim, Diablo III, Sims, Civilization V and X-COM are now playable on your Windows Phone. 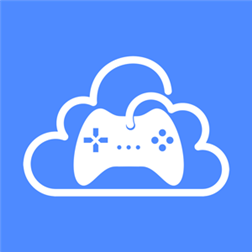 KinoConsole works by streaming video games from your PC to your Windows Phone device. Phone is used to display game video stream and to send controls to game. Check out the trailer and head past the break to download today. Run games on your mobile device in high definition up to 60 frames per second with under 50 millisecond latency – just like playing on your PC. Full support for external gamepads and Xbox controller emulation on PC. Play games as they were meant to be played, without compromised controls. Automatically add games from your Steam account to mobile device games library. No need to manually configure or scan your games. Application is built with the same level of security standards required by banks. All data is fully secured via industry standard SSL encryption. Fast and easy one-time setup, application automatically finds games available on your local network. One-click access to start playing. Customize on-screen game controls to suit your device and playing style. Comes with a set of predefined optimized controls for popular games.